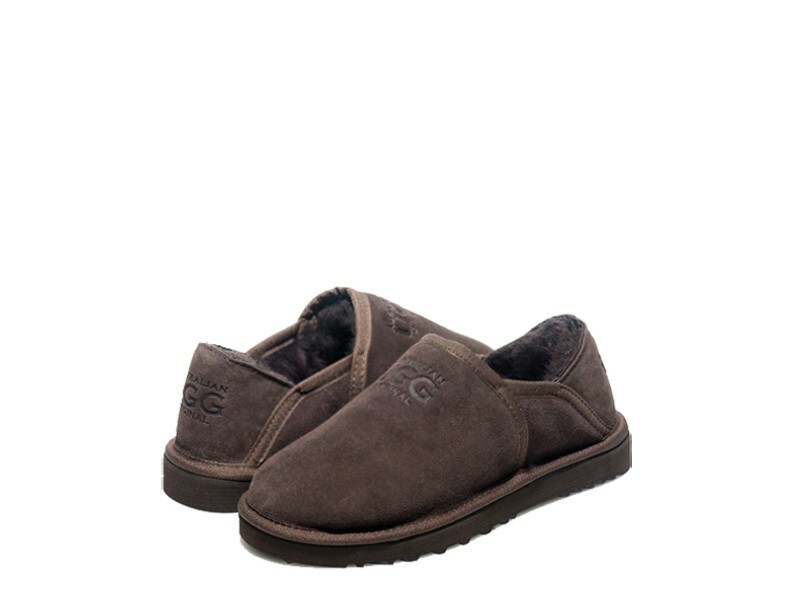 Original Australian Classic ugg shoes made in Australia from genuine Australian double faced sheepskin. Buy online here, select required options, add to cart, proceed to our secure checkout and pay with PayPal, credit card, debit card OR buy at our SYDNEY FACTORY OUTLET where you can get $10 cash discount for each pair paid by cash. I checked some reviews before buying and I bought 2 pairs of shoes and they arrived in London within 5 days. Loved their absolutely beautiful shoes!! Highly recommended! They have great products and good prices. they are offering this great product for those ones who love classy and comfortable footwear! perfectly made shoes at very good price. Definitely recommend this website! Quality was better than advertised!! thank you! I will recommend these shoes to all my friends who love comfy and trendy footwear! I've bought 3 pairs for my family, I am absolutely happy! Website is convenient and easy to order, also great quality, fast delivery, a pretty perfect ugg store! I made an online purchase and it was easy process my shoes were delivered even before the delivery date, also quality was perfect, I am so impressed, thank you australian ugg original, well done! Had good online shopping experience with them! Actually the best quality I have ever seen, one of the best ugg store in Australia! I am so impressed with AUSTRALIAN UGG ORIGINAL! Great quality, true sizing, fast shipping ! 100% RECOMMENDED! I discovered them months ago, it is trully a great ugg site to order from! Australian Ugg! thank you for a great quality and great service! Australian made product, excellent quality, really fast delivery, also great prices ! Will recommend! but i had a great experience ! great uggs were delivered in less than 2 days! well done and thank you! fast and good service, quality product at a good price! will recommend you ! comfortable, warm, this is my second purchase! realy good shoes! highly recommend: brilliant quality, fast delivery! exactly as expected. soft footbed is amazing.definitely worth the price. absolutely happy with these great shoes, bought 3 pairs and love them so much, highly recommend! FAIR PRICE GREAT PRODUCT AND FAST DELIVERY! I really recommend this pair of shoes, light in weight, comfortable and it keeps your feet warm! they provide perfect quality at very competitive prices! it is exactly what I was looking for! love them! fantastic authentic uggs! shipping was extremely fast! ordering was easy, quality was great! 5 stars! highly recommended! Genuine! Australian made! Must have! My friend recommended them and I love them now! My favourite ugg store! Great quality, easy to order, fast delivery! Have just received my shoe. Love Love love! Sick of paying for overpriced boots and slippers in stores, where the colour or size you want is NEVER available. Will be back for more -their newman boots look fantastic! I really recommend this pair of shoes, it is light in weight, very comfortable, and it keeps your feet very warm. I even wear it inside the house. Absolutely love these shoes. So comfortable! Came extremely fast, on time and were exactly as shown in the pictures. Would definitely buy footwear from here! Really great sheepskin shoes at a very reasonable price. I shopped around and these were the best. Really great quality and quick delivery as well. Would definitely recommend. We ordered ugg shoes for my 15 year daughter for her birthday. Ordered and couldn't be happier! Great quality and worth the higher price for sure! Just be sure to buy the protectant spray to keep them from staining. These shoes are so comfortable and adorably cute. They feel like the slippers. Love these. Quick Delivery, Product just as described. All just the way it should be.! Australian quality of Australian Made Ugg! I ordered 2 pairs in the sale, both great quality and very pleased with the price. Great uggs - the best quality I've ever seen. Everything always arrives promptly. Best ugg company! These are super high quality shoes! I ordered them in my normal size but needed bigger size...they handled the exchange graciously and quickly, will definitely recommend them! I bought a pair of these loafers 1 year ago. I was walking a lot and wore them frequently. They are on my feet as I write this review. These shoes are durable, classy and fit like a glove. it was the best gift! thank you! soft comfy elegant and warm!! my new ugg shoes are gorgeous. Looking forward to winter. Theyare so adorable and beautiful! The quality was perfect!! Shipping was fast! Will definetly order from them soon! these are the most comfortable shoes I have ever worn!! will definitely recommend!! unique style high quality and excellent value for money! These shoes are my favorite. I have them in 2 colours now! Great for walking! I love how comfy they are! I ordered half a size bigger than my regular size and it's perfect! I highly recommend this! 5 star service! would recommend 100%! I purchased absolutely fantastic ugg boots from AUSTRALIAN UGG ORIGINAL store. I would recomend them to anyone, they provided great quality, it was great shopping experience like no where else. Thanks and see you again when I need new uggs! Outstanding shoes. They were of a good standard and dispached very quickly ,very highly recommended! The experience of purchasing these great shoes is excellent. The website is clear and works well. I will certainly be coming back for more! Really impressed with great quality and fast delivery! Purchased these great shoes for our son. Great quality, good price and delivered promptly. Very pleased and would highly recommend them! I've ordered boots and shoes from them several times over the past few years, and have always received excellent product. Online ordering is easy, and quality and price are very good! very! I bought these slippers for BD present. They are well made and the inside shearling is oh so soft! I have several pairs of ugg boots and they never disappoint! What a well made shoe,I love all made by this company. Easy to order items on web site. Order came faster than one would expect. Great product.I love my shoes so much! Got what I asked for, on time, on budget and on my feet! 5 stars! I love these shoes so much! Thank you, will recommend! The items I ordered were delivered promptly. Absolutely 100% high quality product!! The web site is easy to use, the checkout routine is simple. All in all a very good quality and service, have ordered from you before and delivery was prompt. Well done!! AUSTRALIANUGGORIGINAL.NET.AU is excellent to navigate and the shoes were delivered quickly and securely. The service was very good and the shoes were perfect! I have had uggs from them before so was confident buying again. Their ugg shoes quality is perfect, design is very wearable, sizing is realistic and customer service is excellent. Order was delivered within a couple of days. Packaging was excellent. The coffee shoes was as I expected from the pictures on the site. I recommend australianuggoriginal.net.au to everyone! I actually ordered two pairs, and loved them so much - comfy and stylish. Website is excellent and prices are competitive. This shoes is a definitely good choice. I strongly recommend you to try UGG SHOES for its comfort, good quality and styling. Good range of products, easy to order, shoes arrives promptly and well packaged.